Situated among the highest concentration of 14,000 foot peaks in North America, Telluride’s spectacular scenery is undeniably some of the most beautiful in the Rockies. Historic buildings, quaint bakeries and local watering holes blend with luxury hotels, five-star restaurants, sophisticated shops and some of the finest spas in the world. Adding to Telluride’s reputation for legendary terrain, the resort has announced the opening of Black Iron Bowl. This hike-to playground is set against the dramatic backdrop of Palmyra Peak, adding eight runs adjacent to Prospect Bowl, including the wide-open Mountain Quail couloir, European-style faces, open glades and steep chutes. The old mining town of Telluride, tucked away in a remote corner of the San Juan mountains, has a more colourful history and more present-day charm than any resort in North America.Telluride is rapidly developing into a serious rival to Aspen and Vail as the smartest ski resort in the Rockies. In 1889 Butch Cassidy and the Sundance Kid relieved the San Miguel Valley Bank of $24,000. Jack Dempsey washed dishes in a brothel here before finding his fistful of dollars elsewhere. In the 1890s Telluride built a power station and became the first town in the world to be lit by electricity. The extra-wide streets of Telluride, with their beautifully preserved Victorian buildings, including the New Sheridan Hotel and the original courthouse, were designed so that a carter could turn a full team of oxen. At the height of the gold rush, 5,000 miners crowded into the town, which supported one hotel and 100 brothels! You can either stay in town or in the ski convenient and rapidly expanding Mountain Village linked by a gondola that runs from 7am to midnight. The village is already home to one fivestar hotel and luxurious condos. A new Four Seasons and a St Regis are under construction - indicating the kind of clientele to which Telluride aspires. The modest-size area - it has 15 lifts and 1,700 acres of terrain - suits all standards, with good novice slopes, lots of gladed intermediate cruisers, and some dramatic and easily accessible steeps. Denver: 331 miles / 530km . Montrose: 62 miles / 100km. Airport: 6 miles / 10km. Bus, taxi and limousine services from the Airport. 2,650 - 3,730m (8,690 - 12,240ft). Number of Ski Lifts: 18 - 2 high-speed gondolas, 7 high-speed quads, 1 quad, 2 triples, 2 doubles, 2 surface lifts and 2 magic carpets. 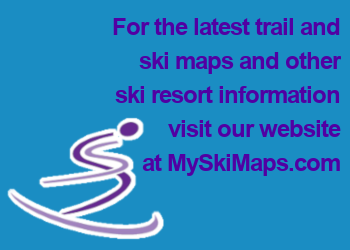 Types of Ski Runs: 24% beginners, 38% intermediate, 38% advanced. Longest Ski Run: 4.6miles / 7.4km - "Galloping Goose". Town close to ski slope; lively downtown area; dramatic setting. Difficult access as resort is isolated; limited number of mountain restaurants.